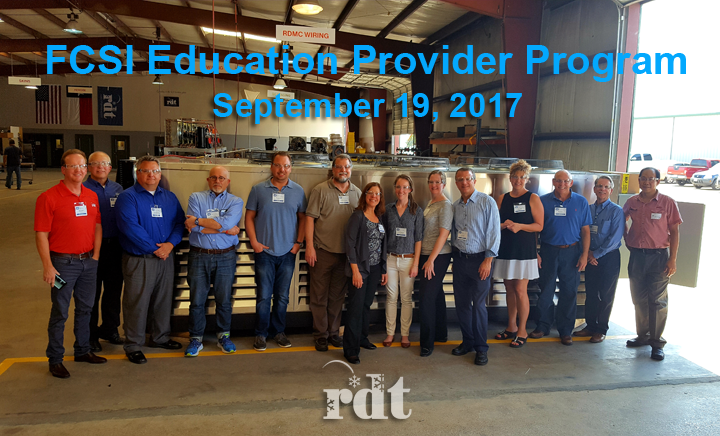 Last month, RDT hosted an FCSI Education Provider Program for foodservice consultants at their headquarters. The RDT team discussed the state of commercial refrigeration and educated the consultants further on RDT’s refrigeration systems and how it impacts their customers. 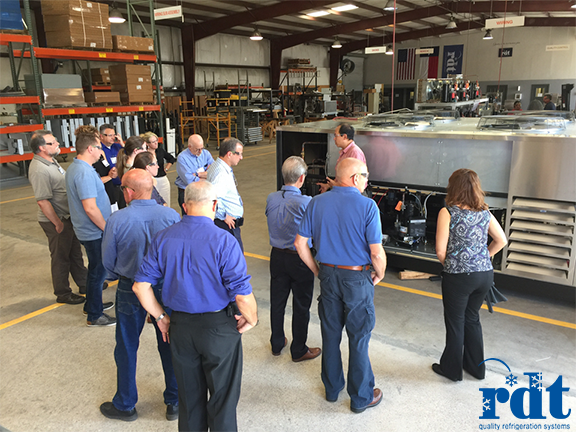 So, what were these foodservice consultants able to take away from their visit to the RDT factory in beautiful Waxahachie, Texas? With new energy standards and a growing need for operators to save on energy costs, consultants were briefed on the current state of foodservice refrigeration and the demands for more sustainable operations. In conjunction with Emerson, the RDT team discussed the direction of refrigerants in the industry and the latest in refrigeration equipment technology that addresses sustainability and utility cost reduction. To help participating consultants better understand general refrigeration principles and the RDT system they were given the opportunity to examine the Eco-Cool system both inside and out. For operations like convenience stores, self-contained refrigeration is moving out of the store and onto the roof. RDT’s engineering experts took consultants outside to show them how this equipment really works. Now that the consultants have a better understanding of RDT’s solutions, they are better equipped to apply that knowledge to helping their customers all across the country. Simply put, RDT’s refrigeration systems save on installation costs, use a smaller footprint than traditional systems, and cut down on energy costs. Consultants benefit, too. RDT helps design what they need and even helps write their specs. With a stronger understanding of commercial refrigeration and RDT’s solutions, consultants are fully equipped to convey that same valuable insight directly to their customers. RDT looks forward to the chance to meet with foodservice consultants on a more personal level to listen to their challenges and learn some things from them in the process. Time to schedule your visit! Are you a foodservice consultant who wants to learn more about commercial refrigeration? Make an educated decision and sign up for a free one-on-one webinar with one of RDT’s refrigeration experts.